StriVectin is a well-regarded US skincare company who originally specialised in ~ would you believe it? ~ stretch mark cream. It turned out that their customers were getting great results using the cream on their faces too, and so the range expanded into facial skincare. Up until now the brand haven’t been hugely visible in the UK, though they are stocked in selected outlets and occasionally in TK Maxx. I first came across StriVectin a few years ago, when they sent me a couple of jars of their neck cream. I used one and gave one away in a reader giveaway. But by the time I got to the bottom of the jar, to be honest, I was kind of regretting giving the second one away because it was really, really good. So these are some new releases from StriVectin, to mark their increased presence in the UK. If you like cosmeceutical brands such as Dermalogica or Jan Marini then I think these will be up your street too. Both new products contain the star ingredient NIA-114™, which is Strivectin’s patented, optimized form of Niacin/Vitamin B3. It’s clinically proven to strengthen the skin barrier and oomph up the performance of other ingredients for visibly transformed, more youthful skin. 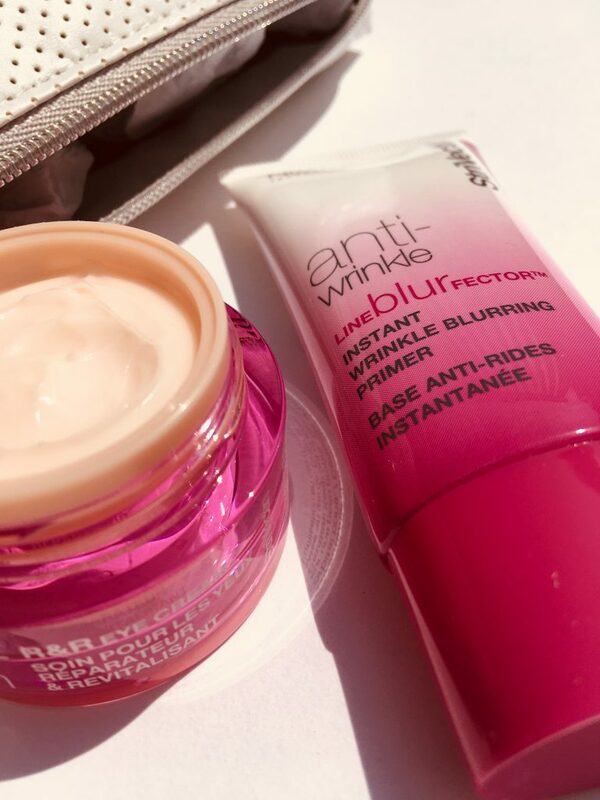 First up, we have a blurring primer. Products like this are generally choc-full of silicones, and if your skin is OK with that then they’re a great way to minimise the appearance of wrinkles and help your make up last longer. You only need to use a little, carefully patted in. 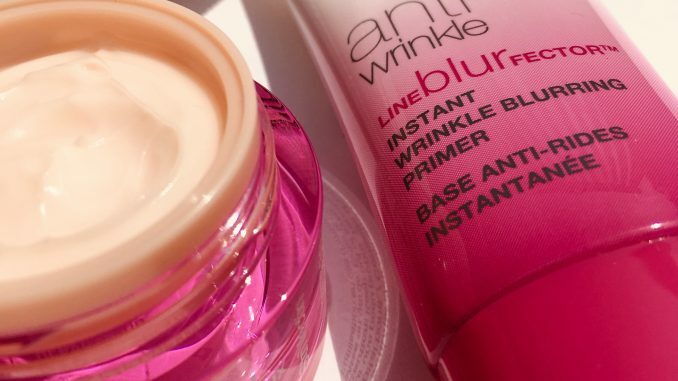 I’ve tried several blurring primers and I thought this was the best one yet. It does contain lots of silicone, but it doesn’t pill even though I layered it amongst plenty of other products (serum, suncare, BB cream etc). Skin was smoother and stayed that way – it didn’t settle into wrinkles at all. My BB cream stayed fresher for longer and easily lasted all day without a touch up. You can also wear BlurFector alone as a final step in skincare. It won’t make wrinkles totally disappear, because that would be weird and in any case, hard-earned wrinkles are nothing to be scared of. Instead, it’ll give your skin a slight glow and make it appear a little more buffed and smoother. Good stuff. Out of the dozens of eye creams I’ve tried, this is a lovely one. Look out for it landing in the UK this summer. It’s very light in texture and absorbs quickly. There’s no fragrance to irritate, and the moisturising effects last all day without settling in fine lines or becoming greasy. The apricot tint brightens up the under eye area. If you have very dark under eye circles then you would probably still want to use a concealer, but this definitely helps. I found it gave me the appearance of being well-rested even when I’ve had a shonky night’s sleep.